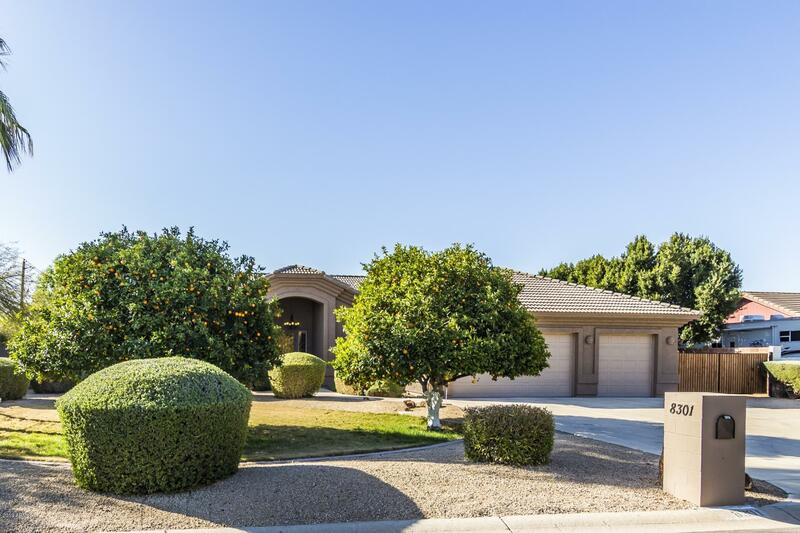 All CITRUS GARDEN ESTATES UNI homes currently listed for sale in Peoria as of 04/24/2019 are shown below. You can change the search criteria at any time by pressing the 'Change Search' button below. "Beautiful single story home on huge corner 1/2 acre lot available in a desirable no HOA Peoria community. Excellent location near shopping, dining and close to the Loop 101. Inside is immaculate, featuring a spacious great room with gorgeous wood flooring, a warm color scheme and ample natural lighting. Open kitchen boasts quartz countertops, stylish backsplash and a large island/breakfast bar. French doors lead to office/den. Majestic master suite offers a generous seating area, a lavish en-sui"